This sturdy and strong manual juicer is ideal for travel, camping, or for any time you want juice on the go without the need for electricity. It juices all types of fruit and vegetables and is also ideal as a wheat grass juice press. 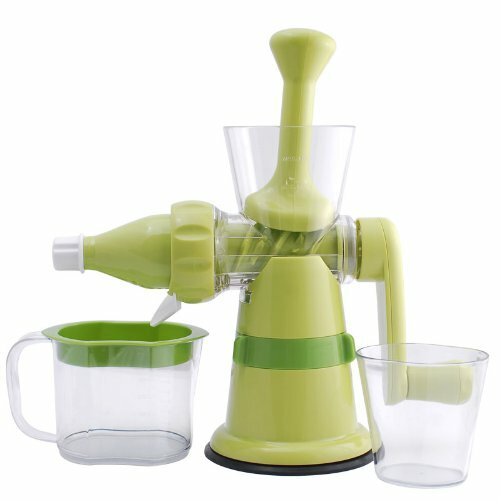 Unlike many other manual juicers, you will be impressed by the versatility. 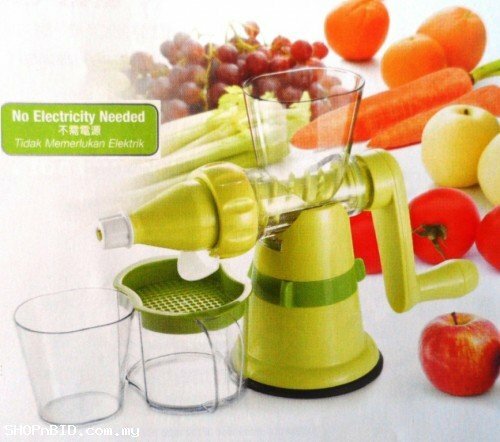 Not only can you juice wheat grass, you can also enjoy fresh nutritious juice from a variety of fresh fruits, vegetables, and leafy greens.Its unique single-auger juicer design uses an extremely gentle and efficient process to extract more high quality juice from all of your favorite fruits and vegetables without electrical power.